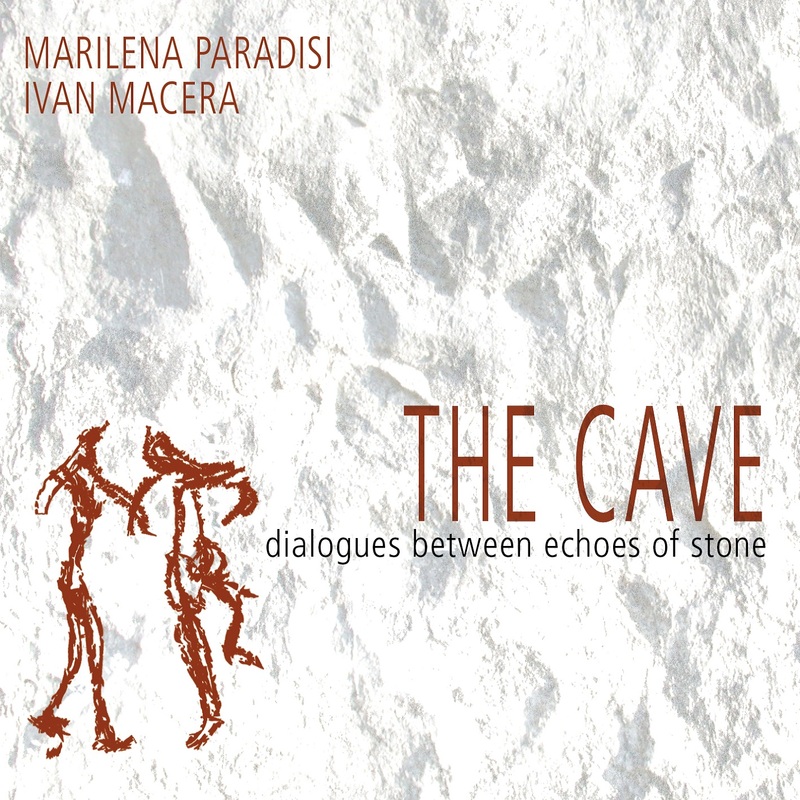 SR1302 - MARILENA PARADISI - IVAN MACERA: "THE CAVE - DIALOGUES BETWEEN ECHOES OF STONE"
Il live album “The Cave – dialogues between echoes of stone”, settimo CD come leader della vocalist e compositrice Marilena Paradisi, in duo per questo progetto con Ivan Macera, percussionista eclettico e di grande talento. Registrato dal vivo il 23 marzo 2013 al Teatro Il Cantiere di Roma, e accolto con estremo interesse dall’etichetta discografica, questo lavoro, premia un ampio progetto di ricerca compiuto dai due artisti sulle atmosfere e i mondi sonori che possono aver fatto da sfondo alla vita nelle caverne nell’era paleolitica. Una analisi musicale del rapporto tra le risonanze naturali dei luoghi e la produzione artistica delle prime immagini: le pitture rupestri. The live recording “The Cave – dialogues between echoes of stone” is the 7th CD of Marilena Paradisi as leader; the vocalist and composer is here in a duet with Ivan Macera, eclectic and talented percussionist. The CD is recorded live on March 23rd 2013 at the Cantiere theater in Rome and has been received with high interest by Silta Records. This job shows a wide research project by the two artists on the atmosphere and muscal world that could have been the backgorund of the life in cavernes in teh Paleolitic. A musical analysis of the relationship between the natural sound of the environment and the artistic production of the first drawings.